GE Dryers are designed to do so much more than simply dry clothes. It features 4 heat selections that provides the right temperatures for your clothes-drying needs, along with Sensor Dry to keep your clothes looking and feeling their best with dual thermistors that continually sense and monitor moisture and temperature to prevent over-drying. Unless explicitly stated otherwise, all washers and dryers are sold individually, not as sets, and all accessories such as pedestals and stacking kits are sold separately. GE Dryers are designed to do so much more than simply dry clothes. It features 5 heat selections that provides the right temperatures for your clothes-drying needs, along with Sensor Dry to keep your clothes looking and feeling their best with dual thermistors that continually sense and monitor moisture and temperature to prevent over-drying. Unless explicitly stated otherwise, all washers and dryers are sold individually, not as sets, and all accessories such as pedestals and stacking kits are sold separately. 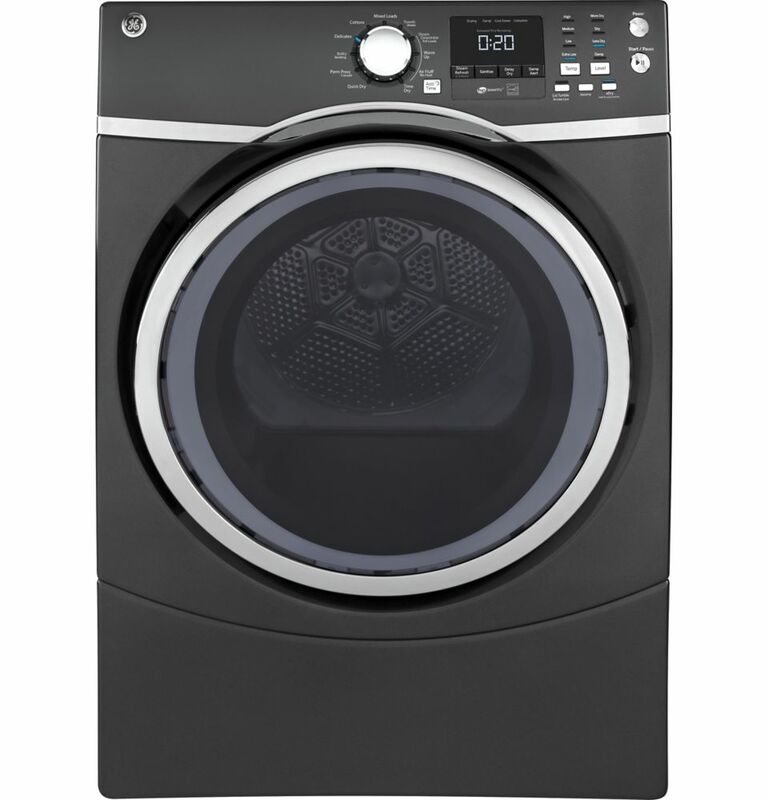 7.5 cu.ft capacity frontload gas dryer - diamond grey - ENERGY STAR® Remove moisture from freshly washed clothes with this 7.5 cu. ft. GE gas dryer. Its high-efficiency Sensor Dry system automatically senses moisture levels and shortens or extends drying time accordingly, and its Steam Refresh function rejuvenates lightly worn clothes by removing wrinkles and odours. This GE gas dryer has a stainless steel drum that maintains hot temperatures and resists rusting.